Untouchable follows one of the newest and most innovative riders in the superbike freestyle industry, Jorian Ponomareff, as he travels performing shows and competing at the highest levels, training with the best riders in almost every country in Europe. Award winning director Michael Pollack has organized some of the most incredible and technical riding sessions in history with nothing but new unseen tricks and combos. The film is expected to be released in early 2010. 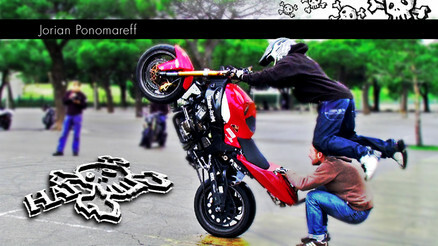 For more information and to view videos of Jorian riding check out www.theuntouchablemovie.com.